Kristy graduated from West Virginia University with a BS in Elementary Education, and then attended the University of West Georgia to obtain her MS in Early Childhood Education. Kristy was an elementary school teacher for ten years. She is currently pursuing her second Master’s Degree in Library Science at Clarion University. 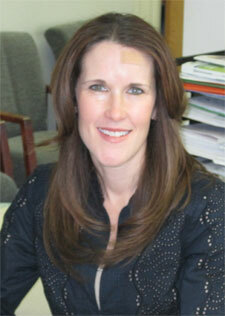 Kristy has been the Director of Health Matters of Pittsburgh for 10 years. She plans, organizes, and runs health and wellness events at businesses, school districts, and organizations in the area. She conducts spinal screenings and other community awareness events. Kristy is also an aerobics instructor at two local gyms. She enjoys exercising, eating healthy, and taking care of her two children. She also spends her time reading, listening to music, running, snow skiing, and spending time with her friends and family. Call Chiropractic Advantage Center now to schedule an appointment and let’s see how chiropractic care can help you!